The closer we get to Brexit, the more obscure it becomes. When? How? Deal? No deal? Trade agreements? are all questions looming on consumers and businesses. In this simple guide we are examining all the areas of eCommerce that will be affected by Brexit. From tariffs to parcel delivery, this is all you need to know about preparing your ecommerce business for when(ever) Brexit comes. What is it? The Digital Single Market is an extension of the European Single Market that covers eCommerce. EU’s rules and legislation on ecommerce are 18 years old. In digital years that’s classed as geriatric. Good: UK will have the opportunity to get this legislation right for the modern age. Officials can update it to support innovation, growth and the use of modern technology. Bad: The reality of the matter is; we will cease to be part of the DSM on the 29th of March whenever Brexit happens. This means that UK’s fastest growing sector is facing an upheaval of the ground rules which lay the basis for the industry. The ex- digital economy secretary spoke of exiting the DSM as an opportunity to modernise the market. However, there is still no indication from the government of what, if anything, will replace the DSM rules. What are they? The tax and duties paid on imports and exports. Good: The government has pledged to cut import taxes on up to 90% of goods after Brexit. This is great news for ecommerce businesses and distributors with overseas suppliers. Bad: The news aren’t as good for UK businesses who rely on a predominantly UK or EU customer base. Apart from increased export tariffs, slashed import tariffs means cheap imports and lower standards, affecting many sectors including agriculture, food and drink and apparel. Tariffs perform two functions: to protect native business from overseas competition, and to fuel the internal economy. These charges, however, also spell higher prices for consumers. By reducing import tariffs, the government would be giving consumers a helping hand but it would also disadvantage UK businesses against their European competitors. What is it? 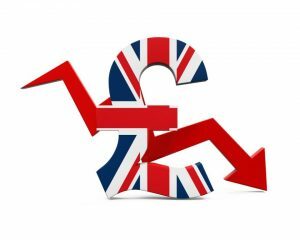 As a knock-on effect of Brexit, the British pound is weaker against foreign currencies. Good: There’s a silver lining to the value of the British Pound plummeting over the last two years: overseas shoppers are purchasing 49% more UK goods than they did before the vote. Bad: Tariffs and additional taxes on goods will rise. Centre for European Reform economist, John Springford, states that the total cost of export tariffs would rise to £40bn post Brexit. What is it? The end-to-end management of your ecommerce operations. This includes storing stock sold online, processing of orders, picking, packing, dispatch, delivery and returns handling. Good: A no-deal Brexit would mean that eCommerce businesses would no longer have to collect VAT from EU sales. This would make UK-origin goods more competitively priced. Bad: Fulfilment and shipping may be slower. A no-deal Brexit will also mean cross-channel trade disruptions like customs and product conformity procedures. Deal or no deal, experts advise putting a solution in place to help with fulfilment in order to make the process easier whatever the outcome. By outsourcing your fulfilment to a specialist you can shift the Brexit clamour away from your business. Very Good: When Brexit hands you lemons, a fulfilment partner will help you make a cracking lemonade. Third party logistics providers will already have a comprehensive Brexit strategy in place. Take advantage of that and ensure your operations, imports, exports and overseas orders are well looked after. A fulfilment provider will have international shipping partners and economies of scale. So, their Brexit plans are guaranteed to be more nuanced than you (or your competitors) will be able to achieve in-house. Use the difficulties Brexit will impose on ecommerce to grow your business and put yourself ahead of competition. What is it? The eCommerce Directive is a 2001 EU brief that lays out the rules of online commerce in Europe. It safeguards communication, free speech and commerce. The UK’s approach will continue to align with the provision contained in the Directive […]. The exception to this is the Directive’s Country of Origin principle. Once the UK is no longer a member of the EU, information society service established in the UK will cease to benefit from the Country of Origin principle when operating in EEA states. This means they will be required to adhere to the rules that govern online activities in each EEA state in which they operate. Up until now, all EEA you provided your products to had to abide to UK laws with regards to the product specification and delivery. After Brexit UK e-retailers will be forced to abide to EEA counties’ legislations instead. This means extra work for fulfilling, dispatching, delivering and potentially producing your products. The silver lining: a good fulfilment partner can deal with the extra Country of Origin faff on your behalf. What is it? The delivery of online orders from the country where stock is held to the country where an order has been placed. Good: In theory, the government’s draft regulation will increase cross-border sales of physical goods across the EU by increasing the pricing transparency for cross-border parcel delivery. Bad: In reality, with a no-deal Brexit the UK is withdrawing both from the common EU VAT area and the Customs Union. Simply put, this means that VAT, fees and tariffs will be paid in the county of supply for all cross-border transactions. No degree of price transparency will counter that. UK is the eCommerce leader in Europe. It houses the most advanced ecommerce, delivery and operations technology after the US. Now that the eCommerce leader is leaving the European Digital Single Market, changes (good and bad) to the sector will definitely be experienced. Apart from an advanced ecommerce infrastructure, however, the UK also holds the biggest-spending e-shoppers in Europe. Delays in customs will limit ecommerce trade between the UK and the EU, but EU based e-retailers will be the ones missing out in the long run. Looking for an in-depth guide? 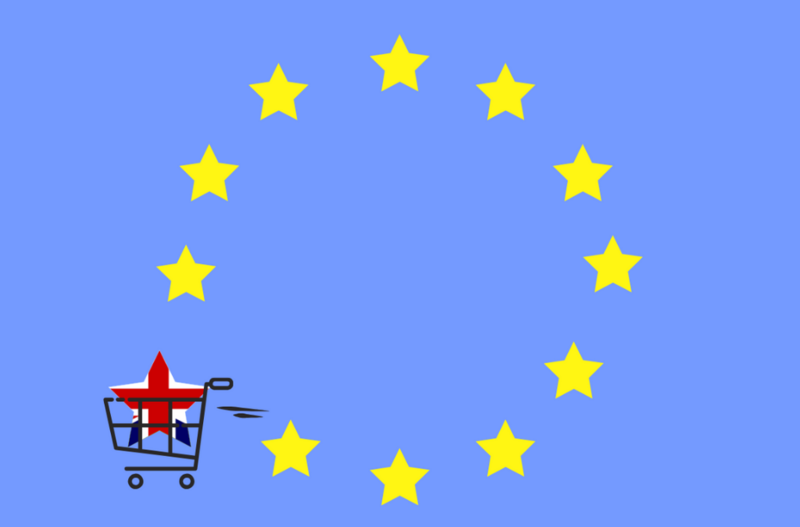 Read more: What impact will Brexit have on eCommerce?